A brilliant opportunity for anyone thinking of having children or with children of any age. Take advantage of Kitty’s wisdom and experience and raise happy, healthy, resilient and open-hearted children capable of forming healthy relationships. 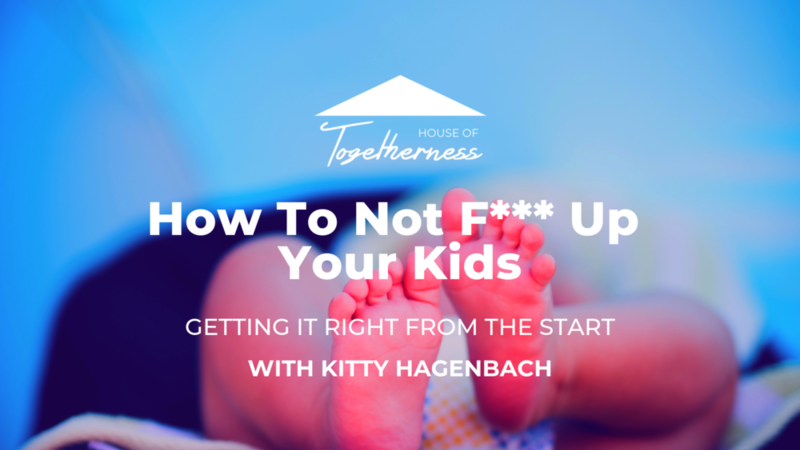 Take advantage of Kitty’s wisdom and experience and prepare to raise happy, healthy, resilient and openhearted children capable of reaching their potential and forming healthy relationships. Kitty will begin the evening outlining the neuroscience of early brain development including the prenatal period. She will explain epigenetics and the vital role that parents play in their child’s mental, emotional and physical development. From here things will get experiential and practical. Kitty will work with audience members exploring their individual questions and experiences.